I have this stuck to my folder which covers the time on the treadmill. The past 3 months of nursing this hip flexor injury have been brutal. 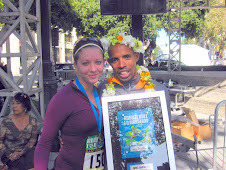 And because of it, I now have a profoundly deeper respect for running. 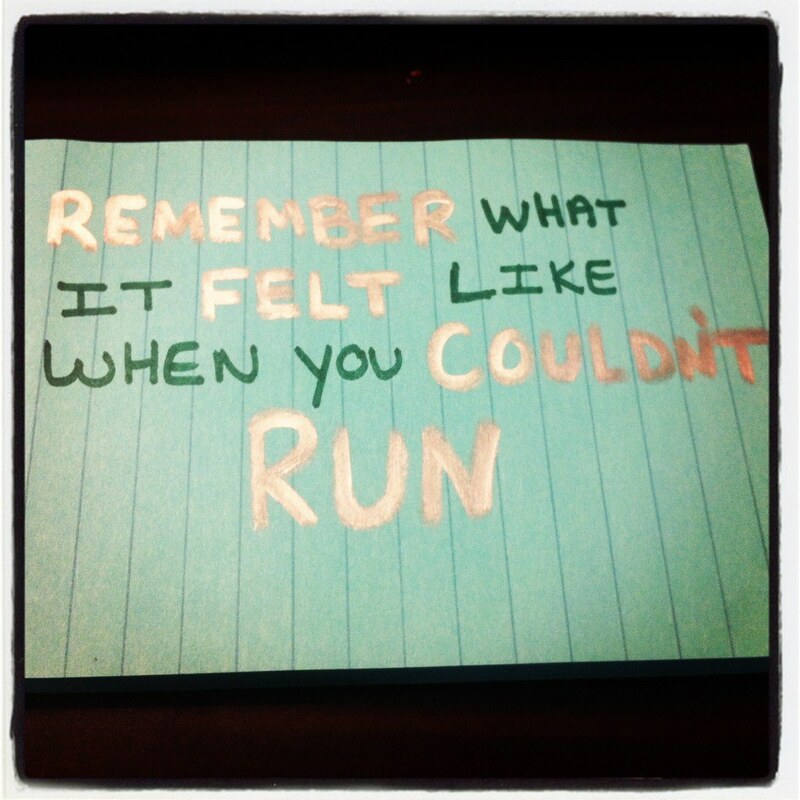 Reading my note "remember what it felt like when you couldn't run" gets me motivated to tackle all of my runs. It will carry me through marathon season this year. I am thankful for each day I am able to run pain free. Love this! Talk about showing yourself some gratitude! Enjoy every step, even the challenging ones. Even to this day when I'm out jogging and I get unmotivated or lazy, I remind myself that I should be thankful for my ability to run!! Don't know where I'd be without it. Great note indeed. I can sort of run I guess, but I'm kind of in that area where I'm not sure that I should be running. When I do get fully healthy, I'll definitely remember that note. I like this! I like it a lot. such a great idea, and def important reminder! love.